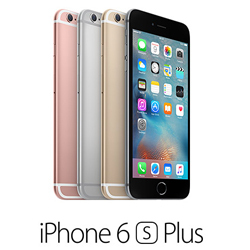 Available in gold, silver, space grey and rose gold, iPhone 6s Plus features an A9 chip, 3D Touch, ultra-fast 4G LTE Advanced wireless, a 12MP iSight camera and iOS 9. Available in gold, silver, space grey and rose gold, iPhone 6s features an A9 chip, 3D Touch, ultra-fast 4G LTE Advanced wireless, a 12MP iSight camera and iOS 9. 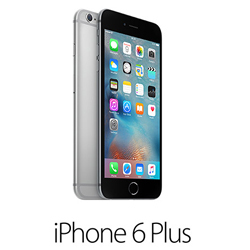 Available in silver and space grey, iPhone 6 Plus features an A8 chip, a Touch ID ﬁngerprint identity sensor, ultra-fast 4G LTE wireless, an 8MP iSight camera and iOS 9. 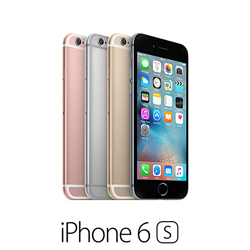 Available in silver and space grey, iPhone 6 features an A8 chip, a Touch ID ﬁngerprint identity sensor, ultra-fast 4G LTE wireless, an 8MP iSight camera and iOS 9. 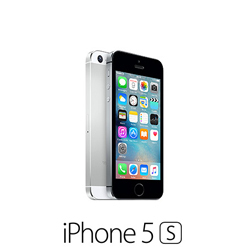 Available in silver and space grey, iPhone 5s features an A7 chip, a Touch ID ﬁngerprint identity sensor, ultra-fast 4G LTE wireless, an 8MP iSight camera and iOS 9. 4. FaceTime calling requires a FaceTime-enabled device for the caller and recipient and a Wi-Fi connection. Availability over a mobile network depends on carrier policies; data charges may apply. 5. 4G LTE is available in selected markets and through selected carriers. Speeds are based on theoretical throughput and vary based on site conditions. For details on 4G LTE support, contact your carrier and see www.apple.com/iphone/LTE. 6. All battery claims depend on network configuration and many other factors; actual results will vary. Battery has limited recharge cycles and may eventually need to be replaced by an Apple service provider. Battery life and charge cycles vary by use and settings. See www.apple.com/uk/batteries and www.apple.com/uk/iphone/battery.html for more information.